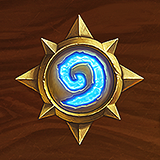 https://imgur.com/a/JQgx9SWMeh 30,000 ppl watching Hearthstone on Twitch in the early morning. Typical. By 7pm my time its usually down to 9k - 15k.Legend climbing day is today. Which for past legend tanks they what? Bounce to rank 5 and have to make the 86 games of play (per someones calculations) and they make ranked?The other surpriseLich Queen Jaina vs Lich Queen Jaina. DKs for 2 years. What a refreshing fun exciting game. https://imgur.com/a/OtFwcCDJust played and exact same game I played 2 hours ago vs Spell HunterSecretSecretSpellstoneDk RexxarTo My SideGGWhen are they going to update the RNG for balance?Man this game really requires no skill. Just play the same cards over and over and over and over and over and over and over and over and over...So blatantly obvious the game is coded to hand out card sin order. Dk Rexxar turn 6 again. 1 2 3 RNG. Zero skill. pfft just play one of the other 8 or 9 1 2 3 RNG Hunter decks.ExamplePlay 1/1 rush spring pawDrop Scavenging Hyena turn 2 always there. Now kill your rush lynx coin and play another spring pawNow Summon HufferEveryone knows face is the place.Be nice to people? NopeTurn 7 Lethal? YepAnd dont forget to summon DK Rexxar on turn 6 because DK Rexxar can always be summoned on turn 6.https://imgur.com/a/FIJBL3VMake your endless poison/lifesteal X minionsAnother win for DK Rexxar. Patterned to perfection...Because the game is designed to NOT be random. Monopoly do have more skill then HS nowadays. I love how people who draft get 2 of the best cards...Example: 2x Mass Hysteria 2x Sleepy DragonAnd I love how Mass Hysteria knows exactly how to attack each minion on the board to do a full wipe vs randomly attacking other minions etc.